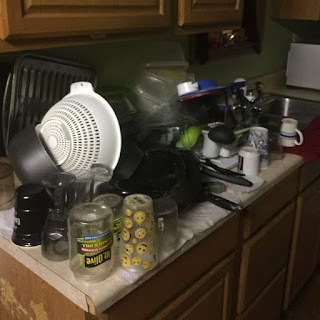 A Daily Diary: Making Myself Useful...Sometimes. Technically, it's the 13th. Starting a couple hours ago. The time on this blog is off. Anyway, the days have not been too eventful. Marathoning Angel. Eating too much. Videos about unboxing dresses from Wish. I re-arranged my room, again, to a more cat friendly state. Switched my top and bottom mattresses, too, back to the order they needed to be in. XD Last time I just didn't want to bother fixing it. Most recently, at Midnight, I started washing the mountains of dishes. As much as I didn't want it to be true, most of them (pots and tubberwares) were dirtied by yours truly. So it was only right. Still, we all collectively let it get bad. After. No points for stacking skills. 2:04 a.m. There was mold, a lot of filmy mold..some to the point that it looks like they were covered in a layer of dried vomit. I even wore a bacterial mask while washing to avoid the smell, which kinda worked. We don't have gloves though. 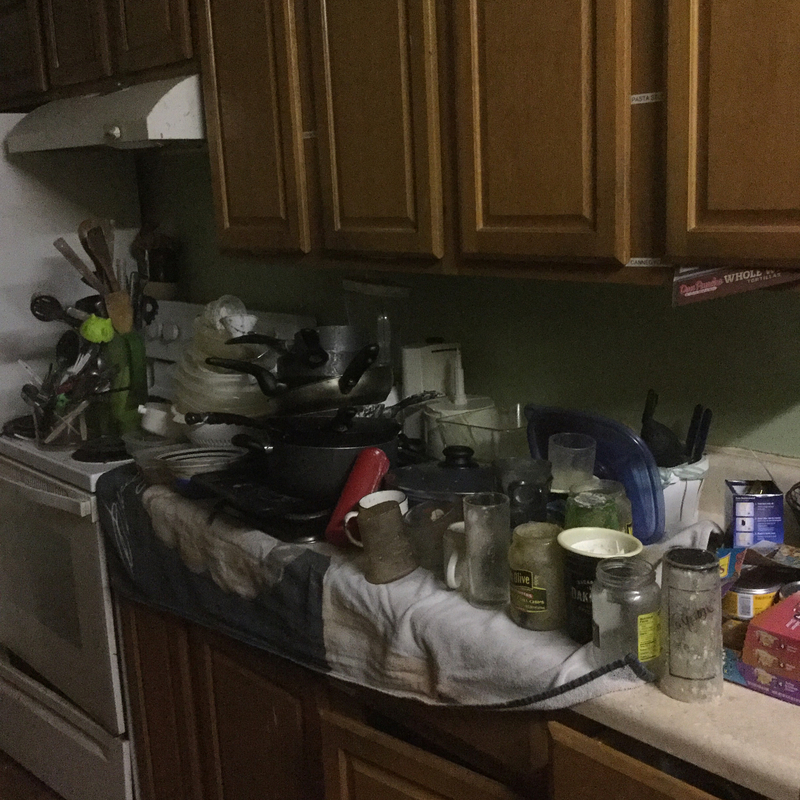 In total, this took close to two hours, not counting the time before these photos where I organized my piles, unclogged the sink, and washed it before even starting. I'm exhausted, but its the one truly useful thing I felt like I did all day. April and I talked options on minimizing the dishes we have, pots and pans as well. She was kinda sleepy, but we did agree. So hopefully, that plan gets implemented. I feel so dirty, like wet dirty, right now. You have no idea. A few dishes weren't all that salvageable, or trustworthy, so those had to get tossed. Played plenty of Neo today, not a lot of Secondlfie. Unlike recent days, I didn't add to my novel today. Too much lounging. Makes me all the more glad for my usefulness. Well, anyway. I'm done. God bless. Jesus loves, lives, saves! 2:47 a.m. I totally forgot to mention that I burned myself earlier tonight on a glass pan coming out of the oven. The light burn made washing dishes just a little harder. All showered up now and feeling WAY cleaner! Haha!